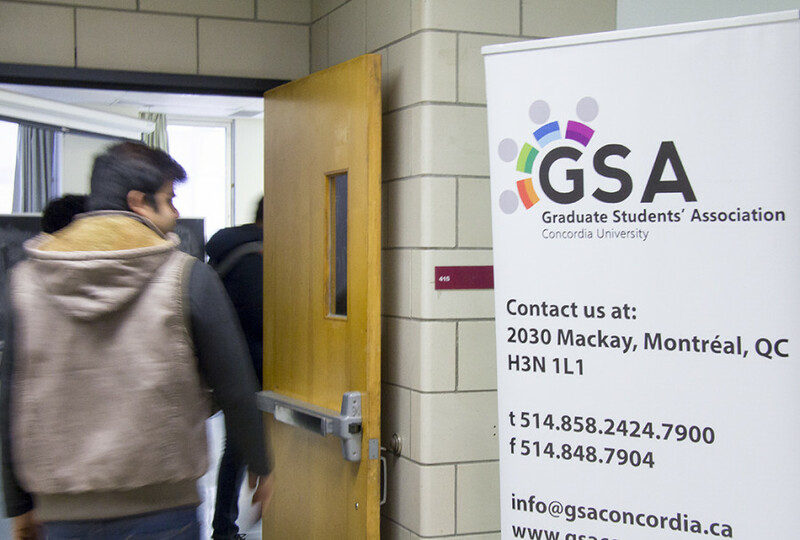 The Quebec Human Rights and Youth Rights Commission are investigating allegations of harassment and discrimination against the former president of Concordia’s Graduate Student Association, The Link has learned. Alex Ocheoha, who worked with the association between June 2015 and May 2016, alleges he was targeted by three members of the association who attempted to withhold his pay on multiple occasions and impeach him. He says he was harassed on the basis of his race and age, as Ocheoha was older than many of his colleagues at the time and is of Nigerian descent. He also says his colleagues harassed him by constantly questioning his mental health. Ocheoha is being represented by the Center for Research-Action on Race Relations, who allege the association didn’t adequately intervene when the abuse against Ocheoha began. The three involved are former directors Rahul Kumar, Mathilde Ngo Mbom, and Keroles Riad. All declined to comment on the case, with some saying they couldn’t since the case is still under investigation, though two of the three previously commented on the case in November of 2016. Current president of the GSA Srinivas Bathini also declined to comment. Throughout 2017, executive director of CRARR Fo Niemi said that attempts at mediation with the GSA were made through the Quebec Human Rights Commission. After the GSA and the three involved declined an offer to settle, an investigation was launched. The GSA is being asked to pay $15,000 in moral and punitive damages to Ocheoha. Between $12,000 and $15,000 is also being asked from the three individuals accused of harassment. The timeline of events has been corroborated through emails and council meeting minutes provided to The Link by CRARR. Insults and slurs against Ocheoha can be found throughout a number of emails that were sent out by Kumar and Ngo Mbom to the association’s council. The most noteworthy ones can be found in a lengthy email written by Ngo Mbom that circulated to the association’s council in late October of 2015. Some sections have been redacted. Even from the first council meeting, Ocheoha claims he could feel a sense of hostility from Kumar, Ngo Mbom, and Riad. He said things got worse after an internal oversight committee was formed in the summer of 2015. The committee was intended to review the performance of executives and staff members. It also made recommendations on how executives should be paid, but Ocheoha said he felt personally targeted by it. The three in question all sat on the oversight committee, Ocheoha says. Throughout his time as president, the oversight committee attempted to repeatedly withhold Ocheoha’s monthly pay, although their attempts were voted down each time by the GSA’s council. Ocheoha also says the oversight committee was reluctant to accommodate to his schedule. In October of 2015, he was told he needed to arrive at an oversight committee meeting to discuss his performance and bring a report detailing his performance. He wasn’t able to go since he had class, leading Kumar to drop the interview process with the oversight committee completely. “Lol [sic]. amazing so technically we cannot ask you any questions as the meetings starts at 6 pm and you have class at 5:45. Hilarious!!! !” Kumar wrote in an email to Ocheoha. “They were just trying to come up with anything against me,” Ocheoha claimed. In March of 2016, council was asked to hold an impeachment vote against Ocheoha at the association’s next general assembly. Before presenting the motion, the room went into a closed session where only councillors, the chair, and the minute taker were allowed to remain. As a result, Ocheoha wasn’t able to defend himself. The motion for his impeachment lists a number of allegations against Ocheoha. In one instance Ocheoha is accused of overriding the decisions of the association’s hiring committee. In another he is accused of spreading misinformation to the association’s council by calling the oversight committee illegal. He claims all of the accusations brought up then were false. The motion passed. The council also attempted to suspend Ocheoha for 30 days, but were unable to since it was in contradiction to the association’s by-laws. Later on, the GSA’s council changed their mind and removed the impeachment vote from the agenda of the general assembly. With the help of the Dean of Students office, Ocheoha organized a mediation session in December 2015 where Riad, Kumar, and Ngo Mbom were all invited. Ocheoha says the GSA refused to cooperate in the process. Ocheoha told The Link that only Kumar came to contribute, while Riad came in but only to observe and not contribute to the conversation. “What we found is that when he attempted to have this situation addressed within the GSA he was not taken seriously. He did not get any support, and he did not have any kind of internal recourse that he could have used,” said Niemi. “It was not effective as a university intervention to address what seems to be an obvious violation of the Code of Rights and Responsibilities,” Niemi continued. In light of what Niemi describes as an instance of institutional failure, the GSA is being asked to write a policy that explicitly states there is no tolerance for discrimination and harassment in the association on the grounds of race, age, or perceived mental disability. The GSA currently has no policy that explicitly states there is no tolerance for discrimination or harassment within the organization. The GSA is also being asked to implement mandatory anti-discrimination training for all the executives and directors in the association for the next three years, and to put in place a better system for dealing with internal complaints.